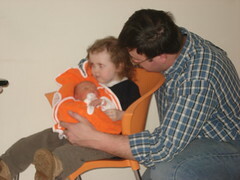 More on Isaac (Day 6) or Lydia the Big Sister! 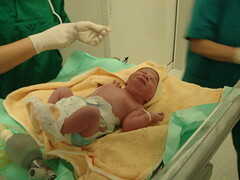 More pictures of Isaac can be found on flickr here. Other updates about him can be found here . 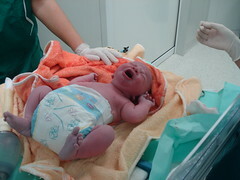 Cyndi and Isaac were released from the hospital on Saturday. 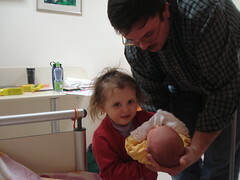 Sorry, we don’t really have anything new to post yet; however, while we were in the hospital, Lydia was such a big girl. 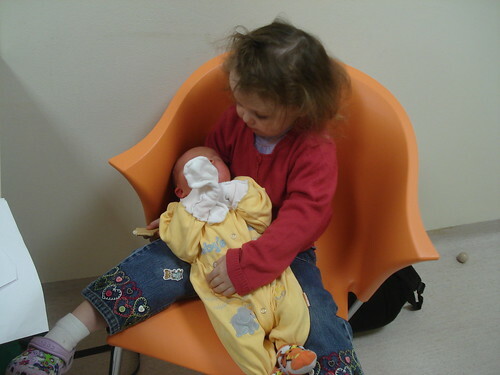 She wanted to help out by holding Isaac. That has continued even after we got back to the apartment. Please note, I could only post this in one category at a time. If you want to read the latest about Isaac, follow the links above. More pictures can be found on flickr here. Other updates can be found here . Well, everyone I know has been waiting anctiously for this. 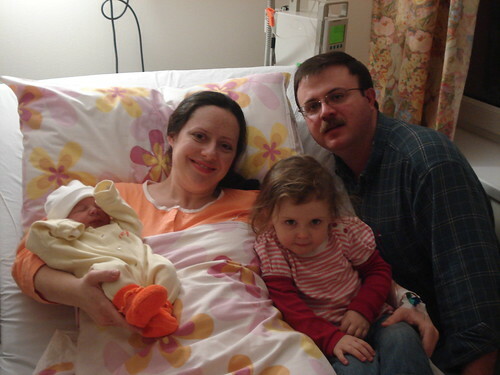 Instead of 11, our family now numbers 100 (0011 in base 2 = 3 in base 10 while 0100 in base 2 = 4 in base 10). In a follow-up to this set of posts on airline security, this is yet another reason why I want people to take a step back and think…. Remember the row about Google, China, and the US Government? Well, it turns out that the “hackers” really didn’t have to hack too hard to get in. They just came in the back door. The back door that our government made google install. This also illustrates why everyone should be encrypting their e-mail. It is easily done with free software (free in both ways). I’ll be writing a follow-up HOWTO in the next few days about how you can do this. In the meantime, you can find our public key here. I saw the video embedded above linked on this article on Bruce Schneier’s website. I don’t speak German, but from what I gather, the video shows a guy defeating a whole body scanner? Sure, it shows his mobile phone, a wire he was wearing, as well as a knife….but what about the bomb making “stuff” he was wearing? it didn’t catch that at all. For more articles I’ve written about this in the past, you can check them out. No, this isn’t just a knee-jerk reaction on my part. Everyone needs to take a giant step back and actually think about stuff. 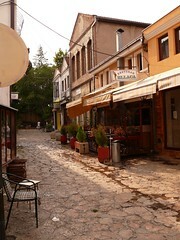 Yesterday, Friday 22 Jan, I tried to go to what has become a favorite coffee shop of mine in Skopje (or Skoplje if you are in Serbia) Macedonia. When I showed up, the place was closed up tight. There was a sign on the door. After trying to read it, I decided it said they would open at 11pm (2300) for a party. I went on about my business…. On the way back to the apartment, I heard a BBC report about coffee shops in Macedonia closing for the day yesterday to protest a new anti-smoking law that went into effect. Now, I imagine the sign said something like “We are closed to protest the new anti-smoking law. We will reopen on the 23rd. Call your represenative and complain.” Anyway, I thought it was interesting that this protest made international news…and that I heard it on the way home. For more information, see these few articles . Image from gregoriosz via flickr. Note, it is not the coffee shop I was trying to go to. For my reviews of Book 1 Treason and Book 2 Hostage, follow the links. continues the Navy Justice Series by Don Brown. This book picks up after a trial of several aviators. There are two stories running in parallel that Don Brown brings together in the end of the book. Overall, a good fast clean read, My only complaint with Don Brown is too little detail. He weaves a good story, but doesn’t focus on any one thing while he writes. But, I am a John Grisham fan and always like how he makes the trial central character in his books. [Update 12-02-2010 06:04:43] Edited the Amazon links to use my new affiliate link. 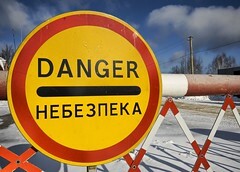 For information why, see this post. For my reviews of Book 1 Treason and Book 3 Hostage, follow the links. picks up after a huge trial. 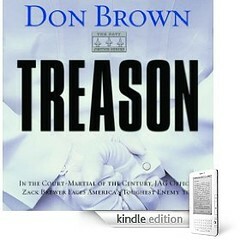 Again, Don Brown proves to be a good author writing a fast paced entertaining book. However, again, unlike John Grisham, don’t expect details of the trials to abound. Also, unlike Tom Clancy, don’t expect there to be pages devoted to details of military hardware or operations. Again, Don Brown makes mention of his characters Christian books, but it is just a part of the characters lives. As an interesting note, I read this book third because of an error in this book. 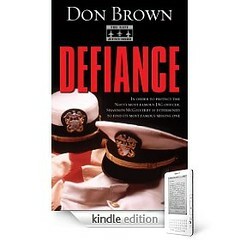 At location 27, where the book lists other books by Don Brown, the publisher has listed Defiance as book #2 instead of this book. 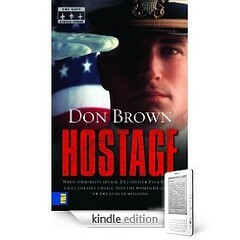 is the first book in Don Brown’s Navy Justice series. (For my reviews on book 2 Hostage and book 3 Defiance, follow the appropriate links.). Overall, this book was a good fast read. Don Brown’s style isn’t that of John Grisham, so don’t read the book expecting lots of coutroom drama. In fact, an earlier, more insignificant trial in Treason takes up much more of the book than the climax trial. Some reviewers on Amazon have made mention of the books overt “pitch” of Christianity. While the book is no theological tome, there are mentions of the faith of the characters; however, I wouldn’t say the author pushes Christianity. [Update 2012-12-26 16:30:37] Cleaned up the internal links. while I was poking around on Amazon’s website. 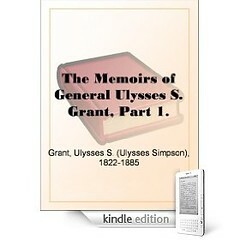 This first volume covers his life up through the Mexican American war. It is a good easy read and has been educational so far. The only complaint I have is that Amazon has multiple copies–free and for a price–editions of this work. I thought I had downloaded all of the parts of the correct edition; however, when i finsihed this part, I didn’t have part 2 of this edition (although I had it from another edition). This cost me some reading time because I had to wait for internet access so i could find the correct next edition of this book.